In today's political climate, catty politicians claw for every vote, but the mayor of Talkeetna, Alaska, was different. His ability to unite through cuddles and his fondness for naps made him remarkable, and this mayor -- Stubbs the cat -- also proved that opposable thumbs aren't necessary for success in politics. The honorary mayor of the small Alaska town, elected as a write-in in 1997 due to a paucity of viable human candidates, died at age 20, according to a Saturday news release from his owners. "He was a trouper until the very last day of his life," Stubbs' owners said. "You are are a remarkable cat and we will dearly miss you." 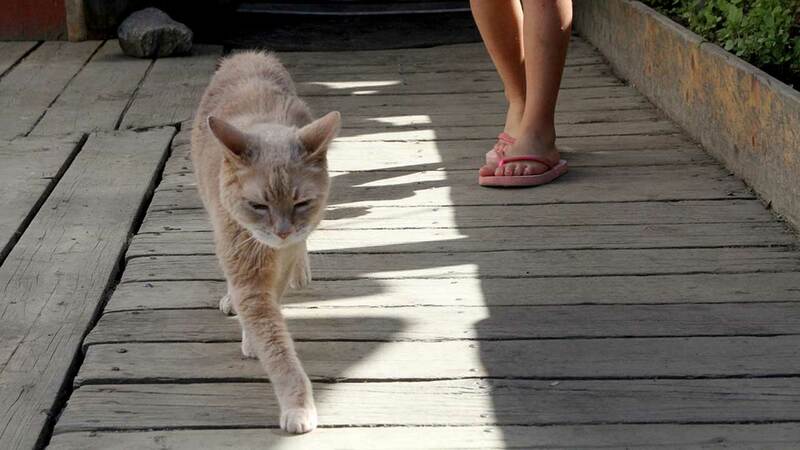 Stubbs served Talkeetna for 20 years. His office, at Nagley's Store, became a destination for locals and tourists alike who sought sage council from the cat. And although Stubbs lacked the legislative and rhetorical prowess of a typical politician, he always did well in the polls. "Over 75% of visitors ask 'Where's the mayor?' or come in with this statement 'I have an appointment with the mayor,'" the news release said. "I think we heard those two statements over 100 times a day during our first year." Stubbs' career wasn't completely free of controversy, though. In 2013, Stubbs suffered a vicious attack from a neighborhood dog that left him sidelined in a hospital. But even a punctured lung, fractured sternum and deep lacerations couldn't keep him from his duties. Stubbs recovered and assumed all his previous mayoral responsibilities. Although he loved the attention as a kitten and younger cat, Stubbs' life in the public eye eventually began to wear on him. He began a retreat from public life in 2015 due to old age, and he cut back on visits to the store, according to the news release. By 2017, Stubbs just wasn't having it anymore. "Stubbs did a couple TV shows and more than a handful of interviews, but was not fond of the camera and all the people; it had gotten to be too much for him," his owners said. In the wake of his death, his owners hinted that Denali, Stubbs' male offspring, may assume his role. "We couldn't have asked for a better understudy than Denali -- he really has followed in Stubbs' pawprints in just about everything."